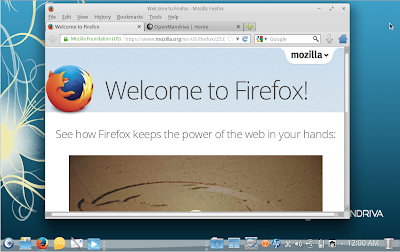 Want to know how OpenMandriva stacks up against the other "unknown" distros of 2013? Click here to find out! UPDATE: Unfortunately, Mandriva is no longer active. It was good while it lasted, but unfortunately, it isn't in use anymore. I use Ubuntu 16.04 LTS now. To read more about Mandriva, click here. Mandriva is a Linux community that I have never really delved into. Having cut my teeth on RedHat and then moved fairly solidly into Ubuntu-based distros, I haven't really moved into much else. Granted, 2013 has seen me investigate the Arch world with the Manjaro review I did previously, but still most of my activity stays in the Ubuntu area. Just because I have a comfort zone, as it were, doesn't mean I don't enjoy other flavors, so when the opportunity came up to review the new OpenMandriva release, I jumped at the chance. The OpenMandriva community has the tagline, “A pinch of COMMUNITY, a pinch of PASSION, a pinch of INNOVATION, flavored with FUN.” Something very intriguing to me, but I wanted to see if it was more than a tagline. 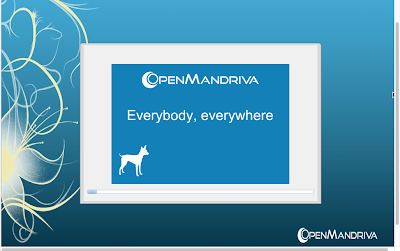 OpenMandriva Lx 2013.0 was released on 8 November 2013. 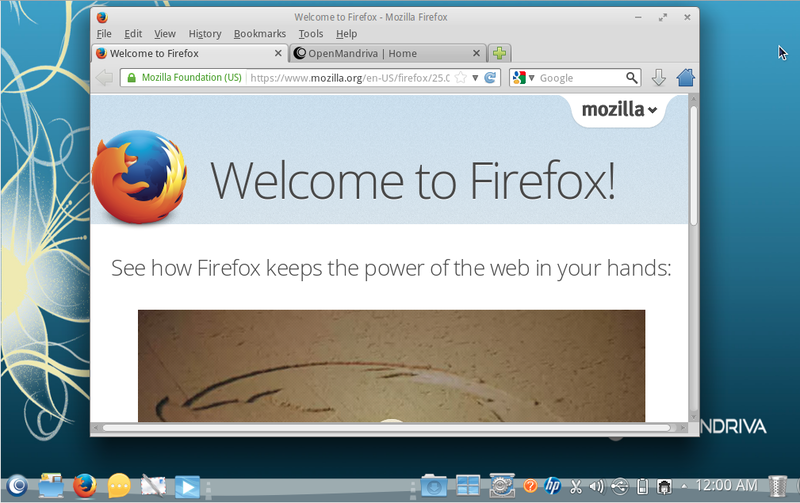 It comes partnered with the KDE desktop (something you know I'm hesitant about) and a decent load of software. I first tested OpenMandriva on my MacBook Pro. It has a 2.5GHz i5 processor with 4GB RAM (I allocated 1GB for testing the distro, as I have on previous reviews). 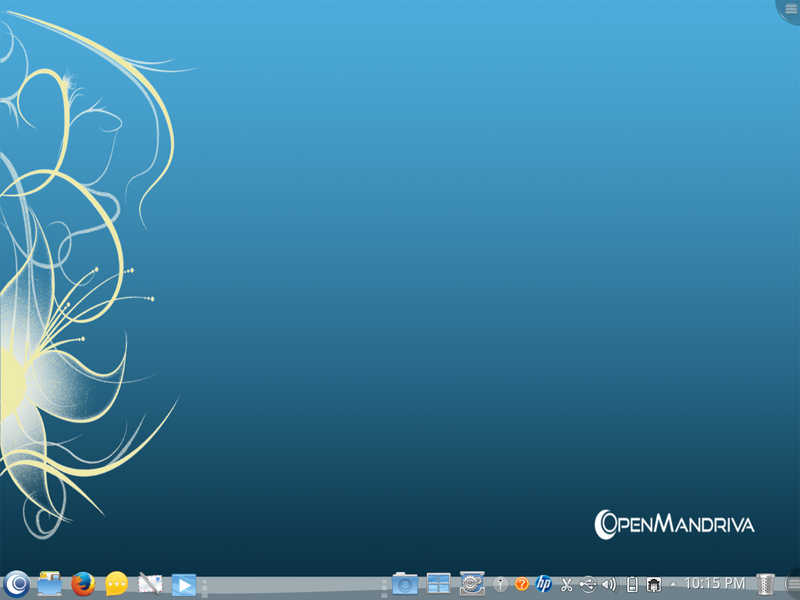 As I tend to do, I started testing OpenMandriva by firing it up in my VirtualBox as a live CD. I ran it twice as the live CD because I couldn't believe what I was seeing. For some reason, even though I asked it just to boot up instead of install, it took me through the install anyway. Incidentally, while performing the install, OpenMandriva was using anywhere from 10-50% of my CPU and every MB of the 1024 MB RAM I allocated for the distro. Sure enough, it thanked me for installing the distro at the end of what I thought was the live CD boot. I rebooted my Virtual machine and tried to work inside of OpenMandriva, but the 1GB of RAM I had allocated to the install just wasn't enough to make it work. I had to back out and rethink my plan. After increasing the amount of RAM allocated to VirtualBox to 2GB, I was able to reboot and make things work. It's not that big of a deal as most computers have substantially more than 2GB. However, if you use old computers at your home or nonprofit, then it would be wise to consider the fact that it is somewhat resource-heavy. OpenMandriva comes with a pretty good loadout, starting with my favorite flavor of office productivity, LibreOffice, which I am using to type this review. It includes the Calc (spreadsheet), Writer (word processor), Draw, and Impress (Power Point). Not included, for some crazy reason, is Base (database). It's free and doesn't take up that much space on a 1.5GB ISO file, so I don't know why distros don't include it, but they don't. By the way, 1.5GB isn't too bad and only took me about 20 minutes to download. Also included is Firefox for browsing and KMail for your Outlook/Thunderbird mail client. 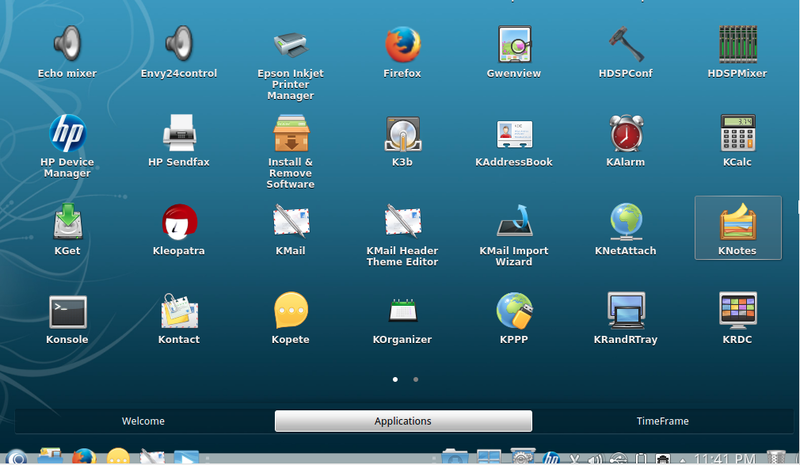 Also included, like in the Kwheezy distro, is a host of HP software tools and printer managers. 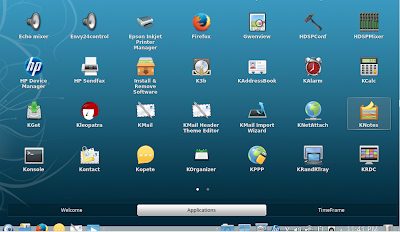 Konsole is the primary terminal program for the distro and works easily as expected. As for the pull on resources, things were much better after I allocated the additional RAM. A Firefox search boosted resource needs to about 12-15% of the CPU and approximately 120MB of RAM. LibreOffice added another 100MB of RAM use to my total and bumped up my CPU use to about 20% periodically. Even at rest, however, it does use about 690MB of my 2GB allocated. I wanted so badly to give this distro a fair review that I loaded it upon my very powerful i7 powered Asus gaming laptop. Because of the distro’s propensity to install on the HDD, I did run it via VirtualBox. Even with my more powerful system, it just lagged more than I wanted it to. My take: I find this distro impressive because it is built on good stock and carries an notable load-out of programs. The fact that it comes standard with most of LibreOffice and uses Firefox as the browser is very important, though I do wish that they included the entire LibreOffice suite, not just the more popular or more used items (base was missing). Here’s the problem for me though: First, the installer is “different.” Instead of having an actual live CD version, it requires users to install to the HDD. While this isn’t the absolutely worse thing in the world, it’s honestly not great either. People test Linux distributions all the time and a perspective user will want to try out the distro before installing, so this is a glaring mistake that I hope they fix. The distro is also rather resource-heavy. I’ve already mentioned the stats, but to really impress me, a distro has to be able to thrive on lower-quality machines. Finally, it was fairly slow to startup. I feel like this isn’t the biggest issue in the world personally, but a quick startup is something we’ve all become accustomed to, so it’s pretty important. Startup took way too long! I think that, with more time and some additional elbow grease, OpenMandriva can become a good system, though I'm not sure it will ever become my personal favorite. It's worth a look though! I just downloaded from the torrent: openmandriva 2013.0 64 bit. I took it for a test drive on 2 different laptops. Acer Aspire and a Sony Vaio. I made a usb livecd boot on thumbdrive and the Mandriva came up and ran. It did not try to install itself. I checked the package manager and the LibreOffice-base is available to install, just not part of the default list of packages on the livecd. Everything that matters seems to work just fine. The wifi, ethernet, touchpad all work with no extra effort from the livecd usb drive. The only issues is the cd/dvd drive needs some user effort to get it to work. The software recognizes that a movie or audio cd were inserted, but won't play them. Typical for non-free media. There are solutions. when you have time could you please review MX14? It's a debian stable/XFCE release developed by the Mepis/Antix team and runs very well on older hardware. it's not the prettiest distro OOTB but it's very configurable with some neat features like snapshot. One note please update after install before review as the included browser is glitchy (in extentions disable click to flash). I use this distro on my mediacentre PC and would like to see it get more exposure and your reviews are well done. thanks.